Oxybutynin and its derivatives are applicable as a bronchodilator or a remedy for pollakisuria. Also, oxybutynin exerts a direct antispasmodic effect on various forms of smooth muscle, mainly by inhibiting the action of acetylcholine on smooth muscle as an anti-cholinergic drug and the like. Oxybutynin is marketed in hydrochloride form. Oxybutynin known as [α-cyclohexyl-hydroxy-benzeneaceticacid- 4-(diethyl amino)-2-butynyl ester] he US Patent No. 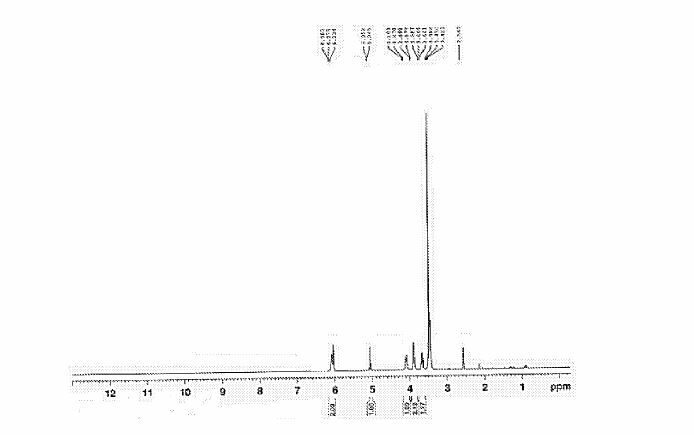 3,176,019 (‘019) discloses about 4-amino-2-butynol esters and their derivatives, particularly about oxybutynin hydrochloride. It also reveals about the synthesis of oxybutynin, wherein, the methyl phenyl cyclohexyl glycolate is reacted with 4-diethylamino-2-butynylacetate in presence of base to yield oxybutynin followed by further workup. Further, it is treated with 2N HCl solution to form hydrochloride salt. It is recrystallised by employing ethyl acetate or water to obtain pure oxybutynin hydrochloride. Further, the US Patent ‘019 unveils about the reaction of propargyl-2-cyclohexyl-2-hydroxy-2-phenyl acetate, /^-formaldehyde and diethyl amine in dry dioxane to obtain crude product of oxybutynin. The dry hydrogen chloride gas is passed through the ether solution of oxybutynin to yield the oxybutynin chloride as precipitate. It is a principal object of the present invention is to provide a novel crystalline oxybutynin base in a solid state having improved quality. In accordance with one preferred embodiment of the present invention, there is provided a crystalline oxybutynin base characterized by using different analytical tools including X-ray powder diffraction pattern, Thermo Gravimetric Analysis (TGA), and Differential Scanning Calorimetry (DSC). Oxybutynin is used therapeutically in the treatment of intestinal hypermotility and in the treatment of urinary incontinence due to detrusor instability. Oxybutynin is sold for this purpose under the trade name of Ditropan®. Chemical names for oxybutynin are 4- (diethylamino)-2-butynyl-α-cyclohexyl-α-hydroxy benzeneacetate, and 4-(diethylamino)-2- butynylphenylcyclohexyl-glycolate. It is a racemic mixture of the R-enantiomer, R- oxybutynin, and the S-enantiomer, S-oxybutynin. Use of the S-enantiomer of oxybutynin, S-oxybutynin, for the treatment of urinary incontinence has been described in U.S. Patent Numbers 5,532,278, and 5,736,577. The structure of S-oxybutynin (Registry Number 1 19618-22-3) is shown in formula I. S- oxybutynin is not commercially available at the present time. Administration of racemic oxybutynin may result in a number of adverse effects. These adverse effects include, but are not limited to, xerostomia, mydriasis, drowsiness, nausea, constipation, palpitations and tachycardia. The amelioration of cardiovascular side effects of racemic oxybutynin, such as tachycardia and palpitations, is of particular therapeutic value. The synthesis of S-oxybutynin has been described in the literature by Kacher et al, J. Pharmacol. Exp. Ther., 247, 867-872 (1988). An improved synthetic method is disclosed in copending U.S. patent application, serial number 09/21 1,646, the contents of which are incorporated in their entirety. In this method, an activated derivative of cyclohexylphenylglycolic acid (CHPGA), the mixed anhydride I, is prepared. The mixed anhydride I is coupled with the propargyl alcohol derivative 4-N,N-diethylamino butynol (4-N,N-DEB)( III where R1 is -CH2R2; R2 is -ΝR3R4; and R3 and R4 are each ethyl.) Reaction of the optically active mixed anhydride with 4-NN-DEB produces a single enantiomer of oxybutynin, in this case, (S)-4-diethylamino-2- butynylphenylcyclohexylglycolate. Improved syntheses of starting material CHPGA have been described in two copending U.S. Patent Applications, Serial Numbers 09/050,825 and 09/050,832. The contents of both are incorporated by reference in their entirety. In the first (09/050,825), phenylglyoxylic acid or cyclohexylglyoxylic acid is condensed with a single enantiomer of a cyclic vicinal aminoalcohol to form an ester of the phenylglyoxylic acid or the cyclohexylglyoxylic acid. The ester is reacted with an appropriate Grignard reagent to provide an α-cyclohexylphenylglycolate ester. A single diastereomer of the product ester is separated from the reaction mixture, and hydrolyzed to provide S-α- cyclohexylphenylglycolic acid (S-CHPGA). The second (09/050,832) discloses an alternate stereoselective process for preparing CHPGA. A substituted acetaldehyde is condensed with mandelic acid to provide a 5-phenyl-l,3-dioxolan-4-one, which is subsequently reacted with cyclohexanone to provide a 5-(l-hydroxy cyclohexyl)-5-phenyl-l,3-dioxolan-4-one. The product is dehydrated to a 5-(l-cyclohexenyl)-5-phenyl-l,3-dioxolan-4-one, hydrolyzed and reduced to CHPGA. Racemic cyclohexylphenyl glycolic acid (CHPGA) (I) is dissolved with (L)-tyrosine methyl ester (II) in refluxing acetonitrile/water to yield a mixture of diastereomeric salts, which is resolved by crystallization to afford the desired diastereomeric salt [(S)-CHPGA-(L)-TME] (III). Finally, the hydrolysis of salt (III) with HCl or H2SO4 at 40-50篊 in toluene yields the enantiomer (IV). Alternatively intermediate (IV) can be obtained as follows: acetalization of (S)-mandelic acid (V) with pivaldehyde (VI) in pentane and catalytic TfOH provides derivative (VII), which is then treated with LHMDS and then condensed with cyclohexanone (VIII) in THF to furnish aldol adduct (IX). Elimination of tertiary alcohol in (IX) with SOCl2 and pyridine in THF gives derivative (X), which is then converted into intermediate (IV) either by first hydrolysis of lactone (X) with KOH in MeOH and subsequent hydrogenation of the obtained derivative (XI) over Pd/C in MeOH, or by first hydrogenation of (X) over Pd/C in MeOH to give (XII), followed by hydrolysis with KOH in MeOH. On turn, derivative (XII) can alternatively be synthesized by treatment of derivative (VII) with LHMDS, followed by reaction with 3-bromocyclohexene (XIII) in THF to provide derivative (XIV), which is then hydrogenated over Pd/C. The desired product is finally obtained by first formation of a mixed anhydride (XVI) by reaction of the cyclohexylphenyl glycolic acid (IV) with isobutylchloroformate (XV) in cyclohexane in the presence of Et3N, followed by treatment with 4-N,N-diethylamino butynol (XVII) (obtained on turn from reaction of propargyl alcohol (XVIII) with diethylamine (XIX) in the presence of paraformaldehyde and CuCl. The catalytic enantioselective cyanosilylation of the ketone (I) by means of Tms-CN catalyzed by gadolinium isopropoxide and the chiral ligand (II) in THF/propionitrile gives the silylated cyanohydrin (III), which is reduced by means of DIBAL in toluene to yield the carbaldehyde (IV). The desilylation of (IV) by means of HCl in aqueous THF affords the hydroxyaldehyde (V), which is finally oxidized by means of NaClO2 in tert-butanol/water to provide the target (S)-2-cyclohexyl-2-hydroxy-2-phenylacetic acid intermediate (VI) (see Scheme no. 23604001a, intermediate (IV)). A mixture of 4-diethylamino-2-butyne-l-ol (30Og), acetic acid (600ml); acetic anhydride (300ml) and con.sulphuric acid (15ml) was heated to 65-70° C. After 2hrs.of maintenance excess solvent mixture was evaporated at reduced pressure. The residue was cooled and poured in a mixture of dichloromethane (1800ml) and DM water (3000ml).The reaction mass was saturated with sodium bicarbonate (300g) solid slowly controlling effervescences. The organic layer was separated and washed with 2% sodium bicarbonate and 1% EDTA solution to afford 318g (81%) of product as oil. A mixture of 150g of methyl phenyl cyclohexyl glycolate, 133g of 4- diethylamino-2-butynyl acetate was dissolved in 1.8 ltr of n-heptane. The solution was added with 1.2 g of sodium methoxide. The solution was heated with stirring to a temperature of 95-100° C and distillate was collected. After 30min of maintenance at 95-100° C, the solution was cooled to 65-70° C under nitrogen. The solution was added with 3.24 g of sodium methoxide. The solution was heated with stirring to a temperature of 95-100° C and distillate was collected. After 1 hr. maintenance at 95- 100° C, reaction mass cooled to room temperature, washed with water. n-Heptane layer was separated and added 300 ml of 2N Hydrochloric acid to give oxybutynin hydrochloride. The crude was recrystallised from ethyl acetate. Example XIX 4-diethylamino-2-butynyl phenylcyclohexylglycolate hydrochl0ride.-A mixture of 394.2 g. of methyl phenylcyclohexylglycolate, 293.1 g. of 4-diethylamino-2-butynyl acetate was dissolved with Warming in 2.6 l. of n-heptane. The solution was heated with stirring to a temperature of 60-70 C. and 8.0 g. of sodium methoxide were added. The temperature of the mixture was then raised until the solvent began to distill. Distillation was continued at a gradual rate and aliquots of the distillate were successively collected and analyzed for the presence of methyl acetate by measurement of the refractive index. The reaction was completed when methyl acetate no longer distilled, and the refractive index observed was that of pure heptane (11 1.3855). About three and one-half hours were required for the reaction to be completed. The reaction mixture was then allowed to cool to room temperature, washed with Water, and extracted with four ml. portions of 2 N hydrochloric acid. The aqueous extracts Were combined and stirred at room temperature to permit crystallization of the hydrochloride salt of the desired product. Crystallization was completed by cooling the slurry in an ice bath, and the product was collected by filtration, pressed dry, and recrystallized from 750 ml. of water. Yield of pure crystalline material, 323 g.
Background of the Invention Cyclohexylphenyl glycolic acid (also referred to herein as “CHPGA”) is used as a starting material for manufacturing compounds that have important biological and therapeutic activities. Such compounds include, for example, oxphencyclimine, oxyphenonium bromide, oxypyrronium bromide, oxysonium iodide, oxybutynin (4- diethylamino-2-butynyl phenylcyclohexylglycolate) and its metabolites, such as desethyloxybutynin (4-ethylamino-2-butynyl phenylcyclohexylglycolate). The important relation between stereochemistry and biological activity is well known. For example, the (S)-enantiomers of oxybutynin and desethyloxybutynin have been shown to provide a superior therapy in treating urinary incontinence, as disclosed in U.S. Patent Nos. 5,532,278 and 5,677,346. The (R) enantiomer of oxybutynin has also been suggested to be a useful drug candidate. [Noronha-Blob et al., J. Pharmacol. Exp. Ther. 256, 562-567 (1991)]. Racemic CHPGA is generally prepared by one of two methods: (1) selective hydrogenation of phenyl mandelic acid or of phenyl mandelate esters, as shown in Scheme 1; or (2) cyclohexyl magnesium halide addition to phenylglyoxylate as shown in Scheme 2. Scheme 1. R is hydrogen or lower alkyl. 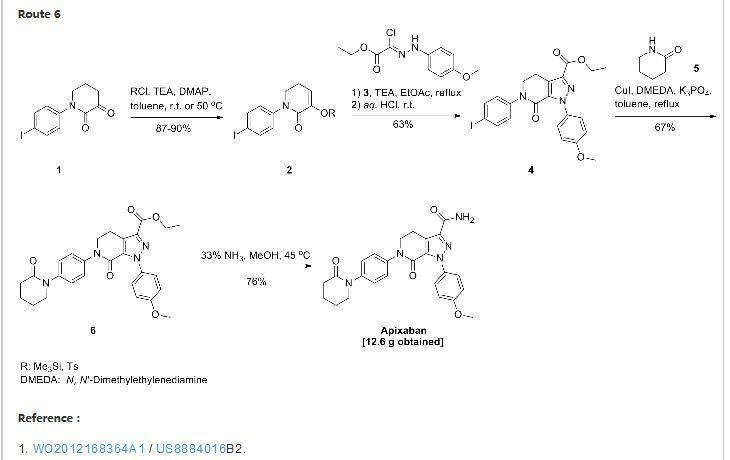 Asymmetric synthesis of individual enantiomers of CHPGA has been approached along the lines of Scheme 2, by Grignard addition to a chiral auxiliary ester of glyoxylic acid to give a diastereomeric mixture of esters. 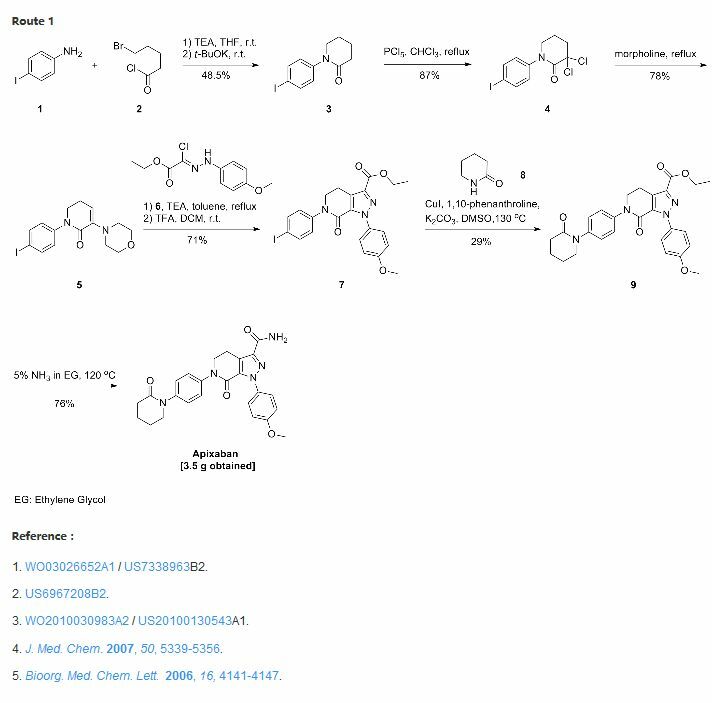 In addition, multiple step asymmetric synthesis of (R)-CHPGA from fDJ-arabinose using Grignard reagents has been reported. In general, simple primary alkyl or phenyl Grignard (or alkyllithium) reagents are used for the addition, and the addition of inorganic salts (e.g. 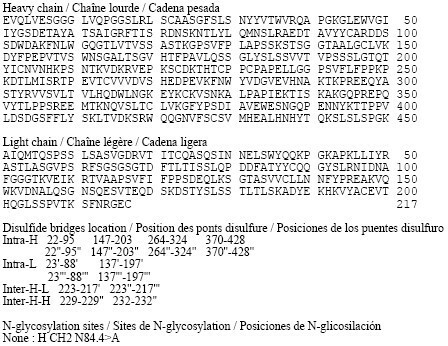 ZnCl2) appears to increase the diastereoselectivity of the products. As outlined in Scheme 3 below, the simple chiral ester wherein R* is the residue of a chiral alcohol, can be directly converted to chiral drugs or drug candidates by trans-esterification (R’=acetate), or hydrolyzed to yield chiral CHPGA (R’=H). Preparation of (S) or (R) CHPGA; and Part 3 – Recovery of (L) or (D)-tyrosine methyl ester. The ability to recover the resolving agent in high yield is an advantageous feature of the process of the invention. It greatly reduces cost by allowing recycling of the resolving agent. For ease in understanding, the diastereomeric salt, (<S)-CHPGA-(E)-TME, and the pure enantiomer (S)-CHPGA are depicted in the reactions below. However, the (R) enantiomeric series could instead be depicted and is similarly produced using the opposite enantiomer of TME. In Part 2, the CHPGA enantiomer produced, (S) or (R)-CHPGA, is liberated from the diastereomeric salt. For the preparation of (S)-CHPGA, the (S)-CHPGA-(E)- TME salt from Part 1 is added to and dissolved to form a solution which is about 15 wt % substrate in toluene. The solution is treated with an excess of dilute mineral acid, such as 1.1 equivalents of 0.5 M HC1 or H2SO4. Upon dissolution of the diastereomeric salt, essentially all the TME enantiomer is converted to the hydrochloride salt. The diastereomeric salt mixture may be heated to about 40-50° C for about 10 minutes to facilitate dissolution of the solids. A phase split yields an aqueous solution containing (Z)-TME-HCl and an organic solution of (S)-CHPGA in toluene. The aqueous phase is separated from the organic solution and saved for recovery of the tryrosine methyl ester in Step 3 below. A common method of separation, which may be used throughout the processes described herein, is gravitational settling followed by drainage of the aqueous phase through a tap in the bottom of the reaction vessel. The toluene organic phase containing (S)-CHPGA may be washed a second time with mineral acid, as specified above, and heated. The organic phase and aqueous phase are then separated, and the aqueous phase is discarded along with the rag layer, i.e. the layer separating the two phases. The retained toluene organic phase is then preferably concentrated, typically by vacuum distillation, to a weight that is about 2.1 to 2.3 times the weight of the diastereomeric salt originally present, followed by gradual cooling to 0-5° C to initiate crystallization of the single (S) enantiomer of CHPGA, as indicated by the formation of a thick slurry. The slurry is cooled for at least an hour to ensure that crystallization is complete, then filtered to isolate (S)-CHPGA. The (S)-CHPGA cake is then dried under vacuum while heating to a temperature of about (40-45° C). Part 2 is cooled, preferably to about 0-5° C. While maintaining the cooling temperature, the aqueous solution is titrated with 0.5M NaOH to a pH of approximately 9.0. Typically, a thin slurry will form as the TME enantiomer precipitates. The TME enantiomer is isolated by filtration, washing with deionized water, and drying under vacuum at a temperature of about (40-50° C). TME (0.5 equiv. ), 549.2 g CH3CN, and 54.8 g deionized water. The reaction mixture was heated to reflux at approximately 78° C for about 5 min. The solution was then cooled to a temperature between 0-5° C over a period of 2 hours and remained cooling (0-5 ° C) for about 2 hours. The solution was filtered to isolate the (S)-CHPGA-(Z)-TME diastereomeric salt, and the salt cake was washed with 130 g chilled ( 0-5° C) CH3CN. The salt cake was dried in vacuo at 40-50° C , and the residual solvent remaining in the cake was < 0.5%. Yield = 77.1 g (42.1 mole %); ee > 99.0% (S). Part 1, 447.0 g toluene, 339.2 g 0.5M HC1 (1.1 equiv.) and heated to 40-50°C while stirring until the solids dissolved (about 10 min). While maintaining the temperature at 40-50° C, the organic and aqueous phases separated after about 10 minutes. The phases were divided, and the aqueous (bottom) phase containing (L)- TME-HC1 was saved for recovery in Part 3 below. Approximately 370 g aqueous phase was recovered. To the toluene organic phase an additional 169.6 g 0.5M HC1 (0.6 equiv.) were added, and the solution was heated to a temperature between 40-50° C while stirring for about 10 minutes. The toluene and aqueous phases were allowed to separate (~ 10 min. ), while maintaining the temperature between 40-50° C. The phases were divided, and the aqueous (bottom) phase and rag layer were discarded. The organic phase was concentrated by vacuum distillation to a final weight of 168.0 g, then cooled to 0-5 °C over a period of about one hour during which time a thick slurry formed spontaneously. Agitation was adjusted as necessary. The slurry was cooled at 0-5 °C for an additional one hour. The slurry was filtered to recover the (S)-CHPGA. The (S)-CHPGA filter cake was dried in vacuo at 40-45° C , and the residual solvent remaining in the cake was < 0.2%. Yield = 35.8 g (85 mole %); ee > 99.0%; chemical purity (% HPLC area) > 99.0%. TME cake was washed with 154 g deionized water. The cake was dried in vacuo at 40-50°C , and the residual solvent remaining in the cake was < 1.0%. Yield = 30.5 g (E)-TME (87 mole %). The synthesis of a single enantiomer of oxybutynin and oxybutynin analogs according to the present invention comprises coupling an enantiomer of cyclohexylphenyl glycolic acid with a propargyl alcohol derivative utilizing carboxylic acid activation. Optically active CHPGA may be prepared either by the resolution process described above or by asymmetric methods. The present invention also provides a process for converting the aforementioned enantiomers of oxybutynin and oxybutynin analogs to their corresponding hydrochloride salts. The synthetic process consists of two reactions, which are depicted and described below: Part 1: Formation of the Mixed Anhydride; Part 2: Formation of (S) or (R) oxybutynin and its related compounds. Again for ease in understanding, the (S) enantiomeric series is depicted, although the (R) series is produced similarly. In Part 1, (S) or (R) cyclohexylphenyl glycolic acid (CHPGA) is reacted with an alkyl chloroformate in an organic solvent to form a mixed anhydride enantiomer, as shown above, which can then react to form the desired chiral product in Part 2 below. It should be noted that, while mixed anhydrides are often employed for the synthesis of amides, their use for ester synthesis is quite unusual. It should also be noted that a surprising and unexpected aspect of the present process is that the mixed anhydride intermediate proceeds to a chiral product without affecting the tertiary carbinol of CHPGA, which would lead to impurity formation or racemization. One would expect reaction with an acyl halide at the benzylic hydroxyl resulting in the formation of a stable, but undesired compound, such as an ester. Alternatively, if the hydroxyl were activated (unintentionally) to form a good leaving group, as, for example, under acidic conditions, the dissociation of the leaving group would form a benzylic carbonium ion, leading to racemization. One would therefore expect a loss in optical activity of the oxybutynin or the extensive production of by-products. Surprisingly, the present process produces a high purity product, and no racemization is observed. carbonate-anhydride A carbonate-acid B wherein R5 was isobutyl. Both intermediates were smoothly converted to oxybutynin upon treatment with 4-N,N-DEB. The reaction is preferably carried out in an inert atmosphere, such as nitrogen or argon, and the reaction solution is stirred using conventional techniques. In the depiction above, isobutyl chloroformate (IBCF) is shown as the preferred alkyl chloroformate for reaction with (S)-CHPGA forming the isobutyloxy mixed anhydride. However, other alkyl chloroformates, such as isopropenylchloroformate and 2-ethylhexylchloroformate, for example, may instead be used. The amount of alkyl chloroformate used in the reaction is preferably about 1.2 equivalents with respect to the CHPGA enantiomer. A sidechain propargyl alcohol derivative of formula (III), wherein R1 is as previously defined, is added to the mixed anhydride contained in the reaction mixture to produce the single enantiomer of oxybutynin or analog thereof (II). About 1.3 equivalents of the formula (III) compound relative to (S) or (R)-CHPGA is sufficient. Typically, the reaction mixture is heated to reflux at a temperature of about 65-80° C, but more preferably about 70-75° C, until the reaction is complete, as determined by HPLC. Most preferably, the propargyl alcohol derivative of formula (III) is a 4- amino propargyl alcohol derivative, wherein R1 is represented as -CH2R2; R2 is – NR3R4; and R3 and R4 are each independently lower alkyl, benzyl or methoxybenzyl. For example, the compound of formula (III) is most preferably 4-N,N-diethylamino butynol (4-N,N-DEB), where R3 and R4 are each ethyl. Reaction of the mixed anhydride with 4-N.N-DEB produces the single enantiomer of oxybutynin, i.e. (S) or (R)-4-diethylamino-2-butynyl phenylcyclohexylglycolate. Another preferred embodiment is the reaction using an Ν-protected 4-N-ethylamino butynol, such as Ν-ethyl-Ν-(4-methoxybenzyl)butynol, as the propargyl alcohol derivative and then cleaving the protecting group (by methods well known in the art) to produce (S) or (R)-4-ethylamino-2-butynyl phenylcyclohexylglycolate, also known as desethyloxybutynin. In that case, R3 is ethyl, and R4 is converted to hydrogen in formula (III). Suitable protecting groups are described in Greene and Wuts Protecting Groups in Organic Synthesis. Second Edition Wiley, New York 1991, p. 362-371, which is incorporated herein by reference. In another preferred embodiment, the propargyl alcohol derivative of formula (III) is 4-N,N- ethylmethylamino butynol, which results in the formation of (Sf) or (R)-4- ethylmethylamino-2-butynyl phenylcyclohexylglycolate. In this case, R3 is ethyl, and R4 is methyl. Other useful sidechain propargyl alcohol compounds in which R1 is -CH2R2 are those wherein R2 is azide, hydroxy, or halo. In addition, propargyl alcohol itself, also known as 2-propyn-l-ol, may be reacted with the mixed anhydride. In this case, R1 is hydrogen in formula (III). 4-N,N-Diethylamino butynol for use as the sidechain propargyl alcohol in the present invention may be prepared by reacting propargyl alcohol, paraformaldehyde, and diethylamine under standard Mannich conditions. Other amino and alkyl amino propargyl alcohol derivatives of structure (III) can be formed by the process disclosed in U.S. Patent No. 5,677,346. Briefly, a secondary amine, in which one or more substituents may be a protecting group, such as N-ethyl-4- methoxybenzenemethanamine for example, is reacted with propargyl alcohol and paraformaldehyde in the presence of cuprous chloride. After condensation with the activated CHPGA, the addition of α-chloroethyl carbonochloridate removes the protecting group. In this example, the 4-N-ethylaminobutynyl ester is the ultimate product. The remaining propargyl alcohol derivatives for use in the present invention are commercially available or can be synthesized by methods known in the art. As stated above, the progress of the condensation of the mixed anhydride with the propargyl alcohol may be conveniently monitored by periodic HPLC analyses of the reaction mixture until the desired extent of conversion is reached. At >80% conversion, the reaction is preferably quenched by washing with 10-12% aqueous monobasic sodium phosphate and water. About 8.5 g of the phosphate per gram of enantiomeric CHPGA used is typical. After separation of the organic phase, the aqueous washes are then discarded. A final wash using deionized water may then be performed, after which the bottom aqueous phase is discarded. The retained organic phase containing the enantiomer of structure (II) in solution with the organic solvent can then be concentrated to remove most of the solvent, typically by vacuum distillation. To promote crystallization, the organic solvent containing the enantiomer of oxybutynin or one of its analogs (II) produced by the process outlined above (also referred to herein as “free base enantiomer (II)”) is exchanged with ethyl acetate (EtOAc). Typically, the organic solvent is removed by vacuum distillation to contain about 20-25 wt % (S) or (R) enantiomer of structure (II), which is based on the theoretical amount of free base (II) formed from the coupling process above. Ethyl acetate is then added to obtain the original solution volume or weight. This step may be repeated substituting the removal of EtOAc for the organic solvent. The EtOAc solution may be filtered through a filtering agent, such as diatomaceous earth. The filter cake is washed with EtOAc as needed. The filtrate is then concentrated by vacuum distillation, for example, to contain about 20-25 wt % (theoretical) of free base enantiomer (II) and < 0.3 wt % water. To maximize product yield and purity and to encourage crystallization, most of the water should be removed from the solution. If the foregoing concentration processes are insufficient to reduce the water to < 0.3%, the vacuum distillation may be repeated with fresh solvent or a drying agent, such as magnesium sulfate may be employed. Water content can be determined by KF (Karl Fisher method). Methyl t-butyl ethyl (MTBE) is then added to the concentrated EtOAc solution to a volume that reduces the concentration by weight of the free base enantiomer (II) by about one third, or optimally to between about 6.5 and 8.5 wt %. The hydrochloride salt is then formed by the addition of HC1, while stirring. A slight excess of HC1 in ethanol, for example about 1.1 equivalents of 35-40 wt % HC1, is generally sufficient. The temperature may be increased to 35-45° C. To initiate recrystallization, the solution may be seeded with the hydrochloride salt of the enantiomer of structure (II). After about an hour of stirring, which may be done at 35-45° C, a slurry forms. If the slurry is cooled to about 0-5° C and this temperature maintained for about two hours, filtration provides a very good recovery of the hydrochloride salt of the enantiomer of structure (II). The filter cake is typically a white to off-white crystalline solid, which can then be washed with ambient temperature methyl t-butyl ether (at least 2.2 g MTBE per gram free base enantiomer (II)), followed by vacuum drying at 40- 50° C.
20-30° C. At this time, 425 g of 11.5% ΝaH2PO4Η20 aqueous solution were added to the mixture, and the mixture was stirred for 10 min. Stirring was discontinued, and the organic and aqueous phases separated after about 15 minutes. The aqueous (bottom) phase was discarded. 425 g of 11.5% NaH2PO4Η20 aqueous solution were again added to the retained organic phase, and the mixture was stirred for about 10 min. The phases were then permitted to separate, which took about 15 minutes. The aqueous (bottom) phase was again discarded. To the remaining organic phase, deionized water (400 g) was added. The mixture was stirred for about 10 min, followed by phase separation after about 15 minutes. The aqueous (bottom) phase was discarded. Cyclohexane was removed from the organic phase by vacuum distillation to about 350 g (~ 22 wt % (S)-oxybutynin based on the theoretical amount (76.29 g) of (S)-oxybutynin free base formed). Ethyl acetate (EtOAc) was added to obtain the original solution volume of about 1000 mL (or about 83 Og), followed by vacuum distillation to 20-25 wt % (S)-oxybutynin. EtOAc was then added a second time to a volume of about 1000 mL (or about 830g). The batch was then polish filtered through about 5.0 g CELITE® while washing the filter cake with EtOAc as needed. The filtered mixture was concentrated and dried by vacuum distillation to 339 g (~ 22.5 wt % (S)-oxybutynin) and < 03 wt % water, as measured by KF. Based on the theoretical amount of (S)-oxybutynin free base (76.29 g), methyl t-butyl ether was added to adjust the (S)-oxybutynin free base concentration to 8.0 wt % (953 g). With agitation, 23 g of 37 wt % HC1 in EtOH (1.1 equiv.) were slowly added to the solution, while maintaining the temperature between 20 and 45° C. The temperature of the solution was then adjusted to 35-45° C, and the solution was seeded with about 500 mg (S)-oxybutynin-HCl crystals (approximately 10 mg of seeds per g (S)-CHPGA ). The temperature was maintained, and the solution was stirred for about one hour. A slurry formed, which was then cooled to 0-5 °C over a minimum of 1 hour and held for 2 hours. The slurry was then filtered to recover the (S)-oxybutynin-HCl. The filter cake was a white to off-white crystalline solid. After washing with MTBE (a minimum of 167.84 g MTBE (2.2 g MTBE/g (S)-oxybutynin free base), the cake was dried in vacuo at 40-45 °C. The residual solvent remaining in the cake was < 0.5%. Dry weight = 57.9 g. Overall yield = 68.9%. Example 3 Isolation of the two carbonate intermediates A and B To a racemic mixture of cyclohexylphenylglycolic acid [CHPGA] (5.0 g, 0.0213mol) in cyclohexane (100 mL) was added triethylamine (7.4 mL, 0.053 mol) and isobutylchloroformate (5.5mL, 0.0426mol). The slurry was allowed to stir at ambient temperature for approximately 0.5 h, at which time the reaction was quenched with a 10% aq. NaH2PO4 (50 ml). The organic phase was separated from the aqueous phase and washed with 10% aq. NaH2PO4 (50mL) followed by DI water (50mL). The organic phase was dried over anhydrous MgSO4 and concentrated in vacuo to afford a colorless oil. The product was purified by flash chromatography eluting with 95:5 hexane-EtOAc [Rf = 0.2] to afford pure carbonate-anhydride A. The structure was confirmed by H and 13C NMR, IR, in sttw IR and MS.
CHClj B was then washed off the alumina with acetone and concentrated in vacuo to afford pure carbonate-acid B. The structure was confirmed by H and 13C NMR, IR, in situ IR and MS. 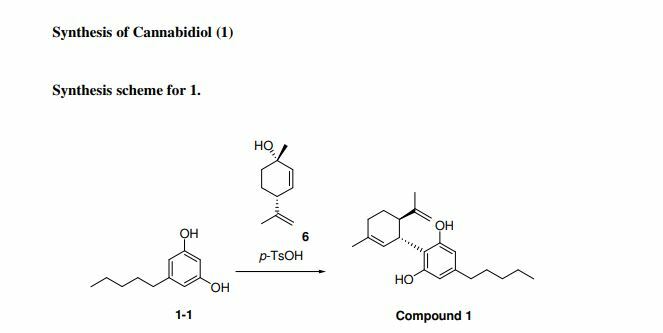 The synthesis of S-oxybutynin has been described in the literature by Kacher et al., J. Pharmacol. Exp. Ther., 247, 867-872 (1988). An improved synthetic method is disclosed in copending U.S. patent application, Ser. No. 09/211,646, now U.S. Pat. No. 6,140,529, the contents of which are incorporated in their entirety. In this method, an activated derivative of cyclohexylphenylglycolic acid (CHPGA), the mixed anhydride I, is prepared. The mixed anhydride I is coupled with the propargyl alcohol derivative 4-N,N-diethylamino butynol (4-N,N-DEB)(III where R1 is —CH2R2; R2 is —NR3R4; and R3 and R4 are each ethyl.) Reaction of the optically active mixed anhydride with 4-N,N-DEB produces a single enantiomer of oxybutynin, in this case, (S)-4-diethylamino-2-butynylphenylcyclohexylglycolate. Improved syntheses of starting material CHPGA have been described in two copending U.S. patent applications, Ser. No. 09/050,825, now U.S. Pat. No. 6,013,830, and 09/050,832. The contents of both are incorporated by reference in their entirety. In the first (09/050,825, now U.S. Pat. No. 6,013,830), phenylglyoxylic acid or cyclohexylglyoxylic acid is condensed with a single enantiomer of a cyclic vicinal aminoalcohol to form an ester of the phenylglyoxylic acid or the cyclohexylglyoxylic acid. The ester is reacted with an appropriate Grignard reagent to provide an a-cyclohexylphenylglycolate ester. A single diastereomer of the product ester is separated from the reaction mixture, and hydrolyzed to provide S-α-cyclohexylphenylglycolic acid (S-CHPGA). The second (09/050,832) discloses an alternate stereoselective process for preparing CHPGA. A substituted acetaldehyde is condensed with mandelic acid to provide a 5-phenyl-1,3-dioxolan-4-one, which is subsequently reacted with cyclohexanone to provide a 5-(1-hydroxy cyclohexyl)-5-phenyl-1,3-dioxolan-4-one. The product is dehydrated to a 5-(1-cyclohexenyl)-5-phenyl-1,3-dioxolan-4-one, hydrolyzed and reduced to CHPGA. The magnitude of a prophylactic or therapeutic dose of S-oxybutynin in the acute or chronic management of disease will vary with the severity of the condition to be treated, and the route of administration. The dose, and perhaps the dose frequency will also vary according to the age, body weight, and the response of the individual patient. In general, the daily dose ranges when administered by inhalation, for the conditions described herein, are from about 0.1 mg to about 100 mg in single or divided dosages. Preferably a daily dose range should be between about 10 mg to about 25 mg, in single or divided dosages, preferably in from 2-4 divided dosages. In managing the patient the therapy should be initiated at a lower dose, perhaps from 5 mg to about 10 mg, and increased up to about 2×20 mg or higher depending on the patient’s global response. When administered orally, preferably as a soft elastic gelatin capsule, the preferred dose range is from about 1 mg to about 1 g per day, more preferably, from about 25 mg to about 700 mg per day, and most preferably, from about 100 mg to about 400 mg per day. It is further recommended that children and patients over 65 years and those with apaired renal, or hepatic function, initially receive low dosages and that they be titrated based on individual responses and blood levels. It may be necessary to use dosages outside these ranges in some cases, as will be apparent to those skilled in the art. Further, it is noted that the clinician or treating physician possesses knowledge of how and when to interrupt, adjust, or terminate therapy in conjunction with individual patient response. The terms “a therapeutically effective quantity”, and “a quantity sufficient to alleviate bronchospasms” are encompassed by the above described dosage amounts and dose frequency schedule. The methods of the present invention utilize S-oxybutynin, or a pharmaceutically acceptable salt thereof. The term “pharmaceutically acceptable salt” or “a pharmaceutically acceptable salt thereof” refer to salts prepared from pharmaceutically acceptable nontoxic acids including both inorganic and organic acids. Suitable pharmaceutically acceptable acid addition salts for the compound of the present invention include acetic, benzenesulfonic (besylate), benzoic, camphorsulfonic, citric, ethanesulfonic, fumaric, gluconic, glutamic, hydrobromic, hydrochloric, isethionic, lactic, maleic, malic, mandelic, methanesulfonic, mucic, nitric, pamoic, pantothenic, phosphoric, succinic, sulfuric, tartaric, and p-toluene sulfonic. The hydrochloride has particular utility. Preferred unit dosage formulations are those containing an effective dose, as recited, or an appropriate fraction thereof, of S-oxybutynin or pharmaceutically acceptable salts thereof. The formulations of this invention may include other agents conventional in the art having regard to the type of formulation in question. For example, formulations for oral administration may include carriers such as starches, sugars, microcystalline cellulose, diluents, granulating agents, flavoring agents and the like. Formulations suitable for oral, rectal and parenteral administration (including subcutaneous, transdermal, intramuscular, and intravenous) and inhalation may be used for treatment according to the present invention. Any suitable route of administration may be employed for providing the patient with an effective dosage of S-oxybutynin. For example, oral, rectal, parenteral (subcutaneous, intramuscular, intravenous), transdermal, and like forms of administration may be employed. Transdermal administration may be improved by the inclusion of a permeation enhancer in the transdermal delivery device, for example as described in PCT application WO 92/20377. Dosage forms include troches, dispersions, suspensions, solutions, aerosols, patches, syrups, tablets and capsules, including soft elastic gelatin capsules. Oral and parenteral sustained release dosage forms may also be used. Because of their ease of administration, tablets and capsules represent one of the more advantageous oral dosage unit forms, in which case solid pharmaceutical carriers are employed. If desired, tablets may be coated by standard aqueous or nonaqueous techniques. Soft elastic gel capsules are a preferred form of administration of S-oxybutynin. Soft elastic gelatin capsules may be prepared by mixing S-oxybutynin with a digestible oil such as soybean oil, lecithin, cottonseed oil, or olive oil. The mixture is then injected into gelatin by means of a positive pressure pump, such that each dosage unit contains an effective dose of S-oxybutynin. The capsules are subsequently washed and dried. Oral syrups, as well as other oral liquid formulations, are well known to those skilled in the art, and general methods for preparing them are found in most standard pharmacy school textbooks. An exemplary source is Remington: The Science and Practice of Pharmacy. Chapter 86 of the 19th edition of Remington entitled “Solutions, Emulsions, Suspensions and Extracts” describes in complete detail the preparation of syrups (pages 1503-1505) and other oral liquids. Similarly, sustained release formulation is well known in the art, and Chapter 94 of the same reference, entitled “Sustained-Release Drug Delivery Systems”, describes the more common types of oral and parenteral sustained-release dosage forms (pages 1660-1675.) The relevant disclosure, Chapters 86 and 94, is incorporated herein by reference. Controlled release means and delivery devices are also described in U.S. Pat. Nos. 3,845,770; 3,916,899; 3,536,809; 3,598,123; and 4,008,719, and in PCT application WO 92/20377. Because they reduce peak plasma concentrations, controlled release dosage forms are particularly useful for providing a therapeutic plasma concentration of S-oxybutynin while avoiding the side effects associated with peak plasma concentrations. Formulations suitable for inhalation include sterile solutions for nebulization comprising a therapeutically effective amount of S-oxybutynin or a pharmaceutically acceptable salt thereof, dissolved in aqueous saline solution and optionally containing a preservative such as benzalkonium chloride or chlorobutanol, and aerosol formulations comprising a therapeutically effective amount of S-oxybutynin, or a pharmaceutically acceptable salt thereof, dissolved or suspended in an appropriate propellant (e.g., HFA-134a, HFA-227, or a mixture thereof, or a chlorofluorocarbon propellant such as a mixture of Propellants 11, 12 and/or 114) optionally containing a surfactant. Aerosols may be conveniently presented in unit dosage form and prepared by any of the methods well-known in the art of pharmacy. The preparation of a particularly desirable aerosol formulation is described in European Patent No. 556239, the disclosure of which is incorporated herein by reference. Also suitable are dry powder formulations comprising a therapeutically effective amount of S-oxybutynin or a pharmaceutically acceptable salt thereof, blended with an appropriate carrier and adapted for use in connection with a dry-powder inhaler. Oxybutynin (Ditropan, Lyrinel XL, Lenditro (South Africa)) is an anticholinergic medication used to relieve urinary and bladder difficulties, including frequent urination and inability to control urination (urge incontinence), by decreasing muscle spasms of the bladder. It competitively antagonizes the M1, M2, and M3 subtypes of the muscarinic acetylcholine receptor. It also has direct spasmolytic effects on bladder smooth muscle as a calcium antagonist and local anesthetic, but at concentrations far above those used clinically. Oxybutynin is also a possible treatment of hyperhidrosis (hyper-active sweating). Oxybutynin contains one stereocenter. Commercial formulations are sold as the racemate. The (R)-enantiomer is a more potent anticholinergic than either the racemate or the (S)-enantiomer, which is essentially without anticholinergic activity at doses used in clinical practice. However, (R)-oxybutynin administered alone offers little or no clinical benefit above and beyond the racemic mixture. The other actions (calcium antagonism, local anesthesia) of oxybutynin are not stereospecific. (S)-Oxybutynin has not been clinically tested for its spasmolytic effects, but may be clinically useful for the same indications as the racemate, without the unpleasant anticholinergic side effects. In two trials of patients with overactive bladder, transdermal oxybutynin 3.9 mg/day decreased the number of incontinence episodes and increased average voided volume to a significantly greater extent than placebo. There was no difference in transdermal oxybutynin and extended-release oral tolterodine. Common adverse effects associated with oxybutynin and other anticholinergics include: dry mouth, difficulty in urination, constipation, blurred vision, drowsiness, and dizziness. Anticholinergics have also been known to induce delirium. These are dose-related and sometimes severe. In one population studied—after six months, more than half of the patients had stopped taking the medication because of side effects and calcium defects. An intake of calcium of 800 to 1000 mg is suggested.Dry mouth may be particularly severe; one estimate is that over a quarter of patients who begin oxybutynin treatment may have to stop because of dry mouth. N-Desethyloxybutynin is an active metabolite of oxybutynin that is thought responsible for much of the adverse effects associated with the use of oxybutynin. N-Desethyloxybutynin plasma levels may reach as much as six times that of the parent drug after administration of the immediate-release oral formulation. Alternative dosage forms have been developed in an effort to reduce blood levels of N-desethyloxybutynin and achieve a steadier concentration of oxybutynin than is possible with the immediate release form. The long-acting formulations also allow once-daily administration instead of the twice-daily dosage required with the immediate-release form. The transdermal patch, in addition to the benefits of the extended-release oral formulations, bypasses the first-pass hepatic effect that the oral formulations are subject to. In those with overflow incontinence because of diabetes or neurological diseases like multiple sclerosis or spinal cord trauma, oxybutynin can worsen overflow incontinence since the fundamental problem is that the bladder is not contracting. Oxybutynin chloride exerts direct antispasmodic effect on smooth muscle and inhibits the muscarinic action of acetylcholine on smooth muscle. It exhibits one-fifth of the anticholinergic activity of atropine on the rabbit detrusor muscle, but four to ten times the antispasmodic activity. No blocking effects occur at skeletal neuromuscular junctions or autonomic ganglia (antinicotinic effects). Sources say the drug is absorbed within one hour and has an elimination half-life of 2 to 5 hours. There is a wide variation among individuals in the drug’s concentration in blood. This, and its low concentration in urine, suggest that it is eliminated through the liver. Oxybutynin chloride is contraindicated in patients with untreated angle closure glaucoma, and in patients with untreated narrow anterior chamber angles—since anticholinergic drugs may aggravate these conditions. It is also contraindicated in partial or complete obstruction of the gastrointestinal tract, hiatal hernia, gastroesophageal reflux disease, paralytic ileus, intestinal atony of the elderly or debilitated patient, megacolon, toxic megacolon complicating ulcerative colitis, severe colitis, and myasthenia gravis. It is contraindicated in patients with obstructive uropathy and in patients with unstable cardiovascular status in acute hemorrhage. Oxybutynin chloride is contraindicated in patients who have demonstrated hypersensitivity to the product. It is available orally in generic formulation or as the brand-names Ditropan, Lyrinel XL, or Ditrospam, as a transdermal patch under the brand name Oxytrol, and as a topical gel under the brand name Gelnique. A 2009 Weill Cornell Medical College study concluded that patients switched to generic oxybutynin experienced a degradation in therapeutic value: “In women, there was a doubling of daytime frequency of urination, a slight 20% increase in nocturia, and a 46.3% increase in urge incontinence. In men, there was a 2.4-fold increase in daytime frequency, a 40% increase in nocturia, and a 40.6% increase in urge incontinence”. Literature References: Muscarinic receptor antagonist. Prepn: GB 940540 (1963 to Mead Johnson). 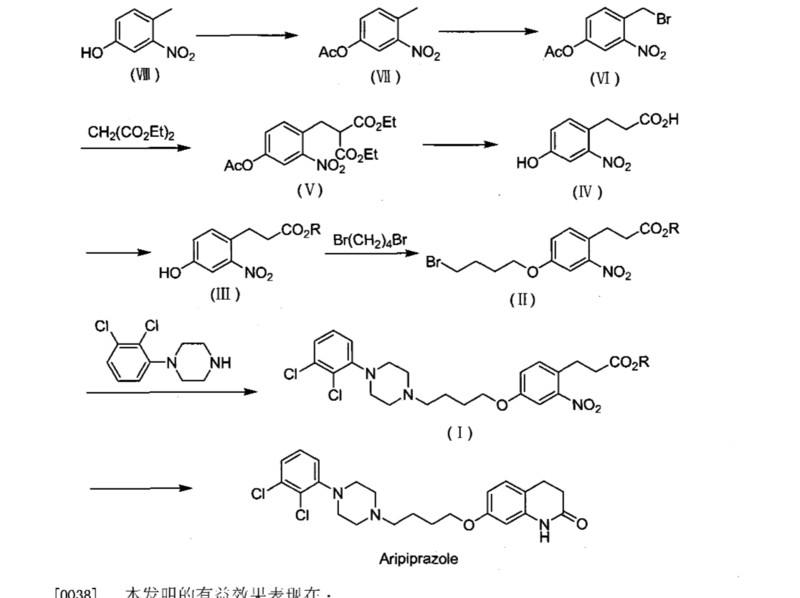 Physico-chemical properties: E. Miyamoto et al., Analyst 119, 1489 (1994). GC-MS determn in plasma: K. S. Patrick et al., J. Chromatogr. 487, 91 (1989). Toxicity: E. I. Goldenthal, Toxicol. Appl. Pharmacol. 18, 185 (1971). Review of pharmacodynamics and therapeutic use: Y. E. Yarker et al., Drugs Aging 6, 243-262 (1995). Properties: pKa 8.04. Log P (n-octanol/water): 2.9 (pH 6). Soly in water (mg/ml): 77 (pH 1); 0.8 (pH 6); 0.012 (pH >9.6). Properties: Crystals, mp 129-130°. Sol in water, acids. Practically insol in alkali. LD50 orally in rats: 1220 mg/kg (Goldenthal). Therap-Cat: In treatment of urinary incontinence. Chapple CR. “Muscarinic receptor antagonists in the treatment of overactive bladder”. Urology (55)5, Supp. 1:33-46, 2000. Tupker RA, Harmsze AM, Deneer VH (2006). “Oxybutynin therapy for generalized hyperhidrosis.”. Arch Dermatol 142 (8): 1065–6. doi:10.1001/archderm.142.8.1065. PMID 16924061. Mijnhout GS, Kloosterman H, Simsek S, Strack van Schijndel RJ, Netelenbos JC. (2006). “Oxybutynin: dry days for patients with hyperhidrosis.”. Neth J Med 64 (9): 326–8. PMID 17057269. Schollhammer M, Misery L. (2007). “Treatment of hyperhidrosis with oxybutynin.”. Arch Dermatol. 143 (4): 544–5. doi:10.1001/archderm.143.4.544. PMID 17438194. Kachur JF, et al. “R and S enantiomers of oxybutynin: pharmacological effects in guinea pig bladder and intestine.” Journal of Pharmacology and Experimental Therapeutics 247:867-72, 1988. Noronha-Blob L, Kachur JF. “Enantiomers of oxybutynin: in vitro pharmacological characterization at M1, M2 and M3 muscarinic receptors and in vivo effects on urinary bladder contraction, mydriasis and salivary secretion in guinea pigs.” Journal of Pharmacology and Experimental Therapeutics 256:562-7, 1991. Baldwin C, Keating GM..Drugs 2009;69 (3):327-337. doi:10.2165/00003495-200969030-00008. Allen B. Reitz, Suneel K. Gupta, Yifang Huang, Michael H. Parker, and Richard R. Ryan (2007). 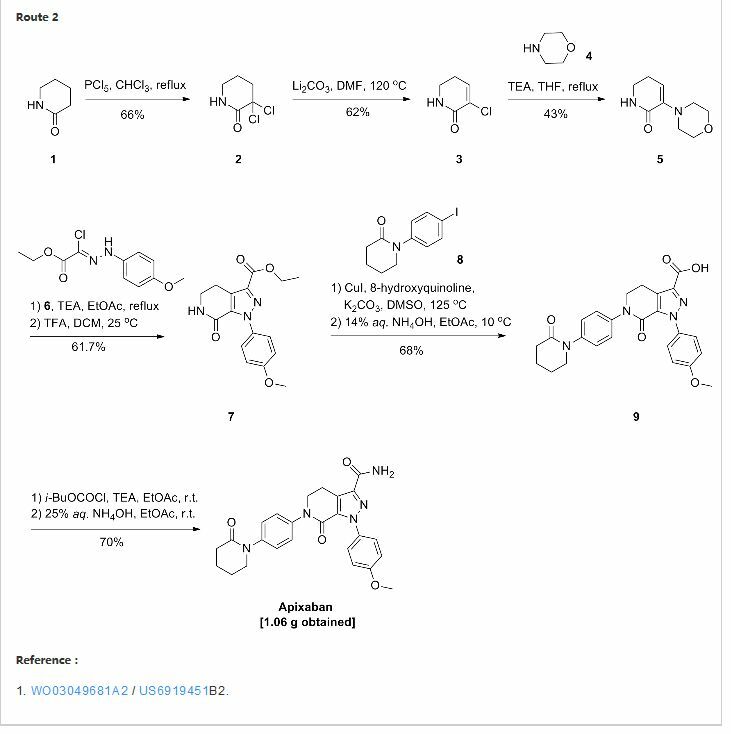 “The preparation and human muscarinic receptor profiling of oxybutynin and N-desethyloxybutynin enantiomers”. Med Chem 3 (6): 543–5. doi:10.2174/157340607782360353. PMID 18045203. Zobrist RH, et al. “Pharmacokinetics of the R- and S-Enantiomers of Oxybutynin and N-Desethyloxybutynin Following Oral and Transdermal Administration of the Racemate in Healthy Volunteers”. Pharmaceutical Research 18:1029-1034, 2001. Oki T, et al. “Advantages for Transdermal over Oral Oxybutynin to Treat Overactive Bladder: Muscarinic Receptor Binding, Plasma Drug Concentration, and Salivary Secretion”. Journal of Pharmacology and Experimental Therapeutics Fast Forward 316:1137-1145, 2006. “Oxybutynin” Retrieved on 30 August 2012. “The pharmacokinetics of oxybutynin in man. (Abstract)” Retrieved on 30 August 2012. Kerr, Martha (2009-05-03). “AUA 2009: Generics Not Equal to Brand-Name Drugs for Overactive Bladder”. American Urological Association (AUA) 104th Annual Scientific Meeting (Medscape). Retrieved 2013-04-20. By DR ANTHONY MELVIN CRASTO Ph.D in Phase3 drugs on November 18, 2014 .